IBM plans to build a prototype next year of an alternative it calls “lithium air” that would mark a big step forward by packing in more storage capacity. While improving the technology depends on chemical processes that take longer to perfect than the systems that brought cheap electronics, finding a solution to the shortcomings of batteries has the potential to revolutionize everything from transportation to hand-held gadgets. Engineers handle the heat of lithium-ion batteries with cooling systems and safety shut-off systems, as Tesla Motors has done in its vehicles. The bigger problem is that the power density in the current generation of batteries is too low. For IBM, its effort to build a better battery began in 2009 at an annual meeting it hosts with government agencies and engineers. The “lithium-air” concept relies on the electricity released when the metal reacts with oxygen in the atmosphere. If it works on a commercial scale, it would provide as much energy per weight of the battery as a gallon of gasoline in as little as five years, Narayan said. The first step was for scientists to demonstrate the technology can store and release power through 10 charges. Now they’re pushing the unit to work over hundreds of cycles, and build a prototype. That would require further improvements in the materials used for the cathodes, anodes and electrolytes, which form the guts of batteries, Narayan said. IBM is not alone. Researchers at universities, government laboratories and auto companies are also vying to produce the next-generation battery. 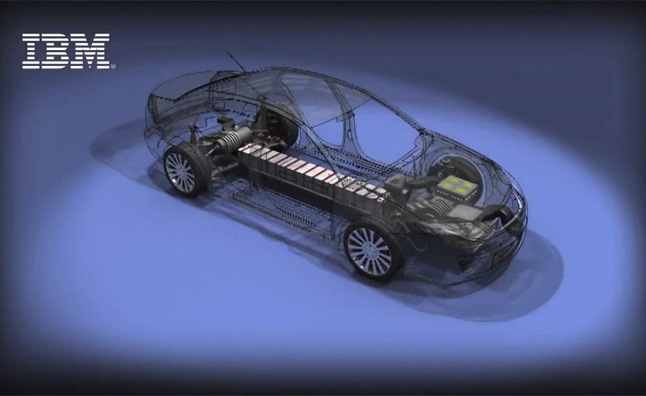 Toyota and BMW AG on Jan. 24 announced plans for lithium-air batteries. Scientists at Massachusetts Institute of Technology are working on a product using carbon nanotubes replacing lithium-ion. Seeo, a start-up backed by billionaire Vinod Khosla, is building lithium-ion units that use a lighter, dry electrolyte instead of liquid. A research team at Japan’s National Institute of Advanced Industrial Science and Technology are working on a Lithium Air UltraBattery while the Mechanical Engineering Department at the University of Michigan College of Engineering are also working on Lithium Air Batteries. Tesla acknowledges the shortcomings of electric vehicles for longer trips, and said that few of their customers are ordering the low-cost, small battery packs.